Driving the family to the beach for summer vacation? Perhaps you are thinking about putting the skis on the car roof and heading to the mountains? Maybe a nice family road trip for spring break? Sounds great right? Let’s hit the road, but first, how about a few road trip tips! If any of the above possibilities are in your future, be sure to bring your vehicle to your auto mechanic to have the family vehicle checked . 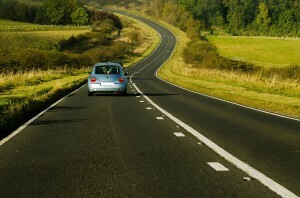 When vacationing, there is always a huge list of things to accomplish or purchase before you hit the open road. Many of these will be last minute. Don’t make a trip to the auto mechanic one of them. Ridpath’s recommendation is to call and make an appointment with your auto mechanic 1-2 weeks before leaving. This will give ample time for automotive service before your road trip. Nothing will get your trip off on the wrong foot(tire) like waiting until the last minute to service your vehicle. Your only days away from your long awaited vacation and BOOM! Your auto mechanic calls to notify you that your vehicle needs some form of service or repair, and unfortunately it cannot be accomplished before your anticipated departure. That would be a major bummer. Consider the possibilities…..
What if parts have to be ordered? What if the prescribed work takes more than 1 day? What if the vehicle requires some form of service or repair to make it safe to drive on your road trip? Nothing could be worse for your vacation budget than spending unplanned money only days before your departure. We recommend to have your vehicle checked even up to 4 weeks before your trip. This will cover all the normal “wear and tear” items that usually pop up on road trips. The most valuable of our road trip tips is to contact Ridpath’s Auto Center for any concerns you have with your vehicle. If you enjoyed our road trip tips article, be sure to read through the rest of our automotive car care tips. Ridpath’s Auto Center provides valuable tips to prevent future problems with your vehicle. If you are approaching your vacation, be sure to call Ridpath’s Auto Center at (610) 544-2828 to set up a comprehensive automotive consultation. We can evaluate your vehicle and provide the advice and options that best suit your personal situation. We are conveniently located in Springfield, PA immediately off the corner of East Woodland Avenue (Route 420) and Powell Road. Ridpath’s Auto Center can provide you and your family the peace of mind you need to enjoy your road trip.